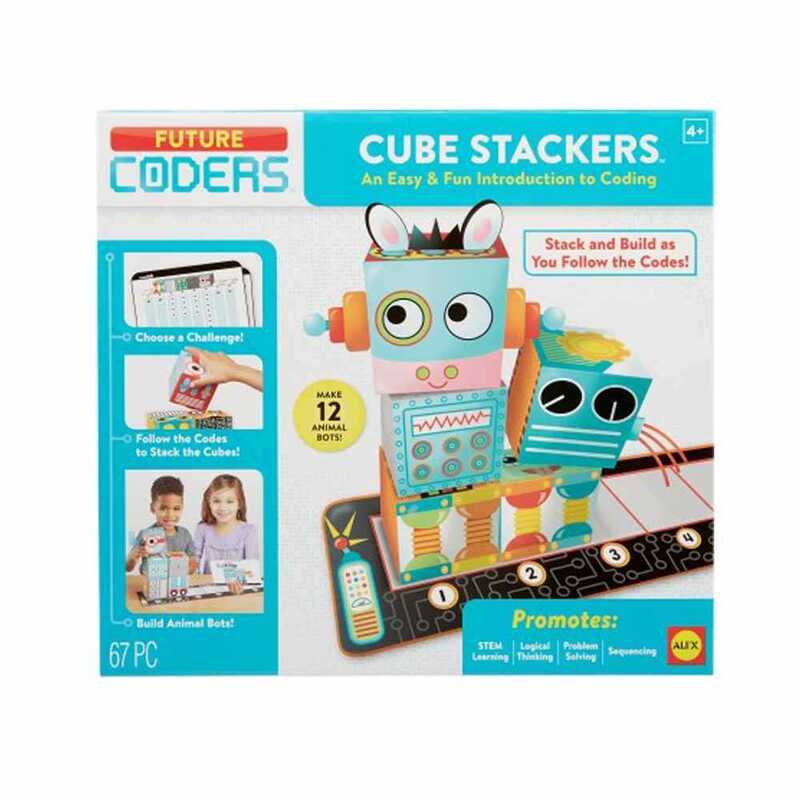 Build fun and imaginative bots with Future Coders Cube Stackers! With each level of bot building, you will learn the precoding skills of logical thinking, problem solvng and sequencing as you move up in levels to build more complicated bots! 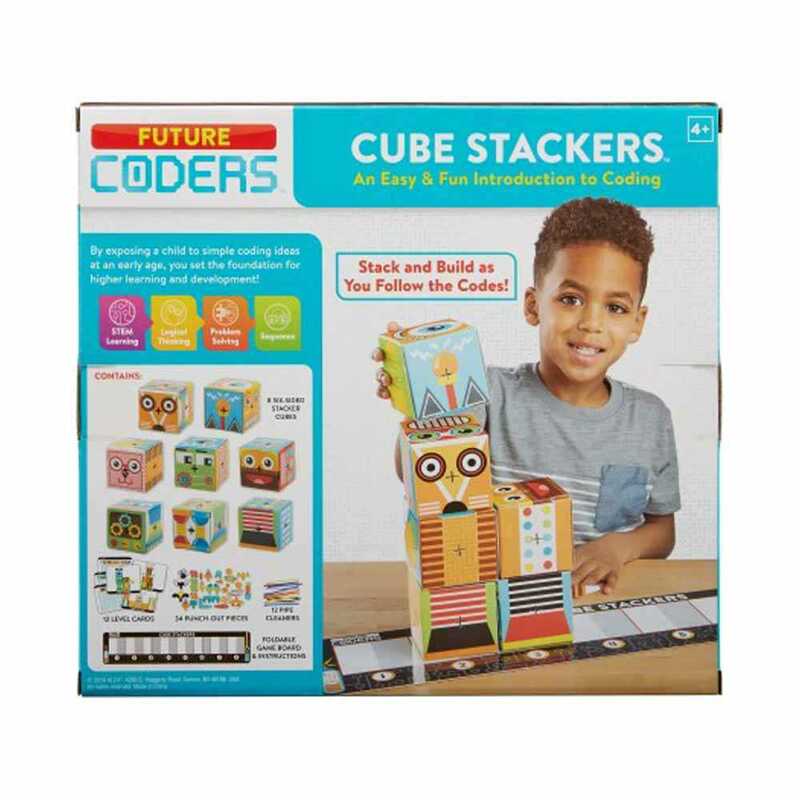 ● Lets tomorrows genius stack cool cubes to make creatures! ● Follow the sequence of arrows to build animals with cardboard cubes, then check the back of the card to see if you got it right! 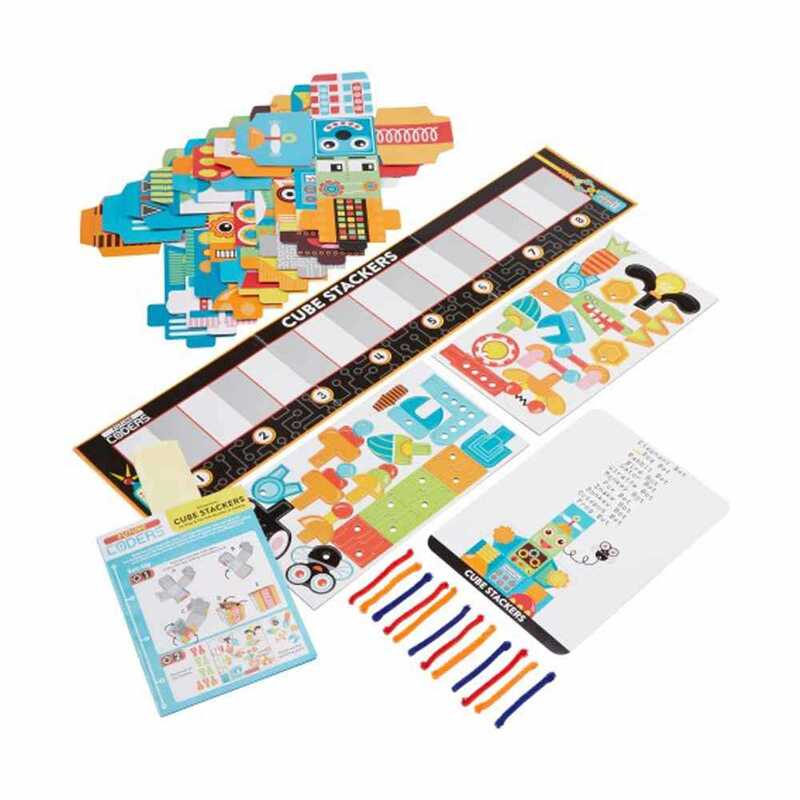 ● Use the cards to make 12 robotic creatures or have fun creating your own!